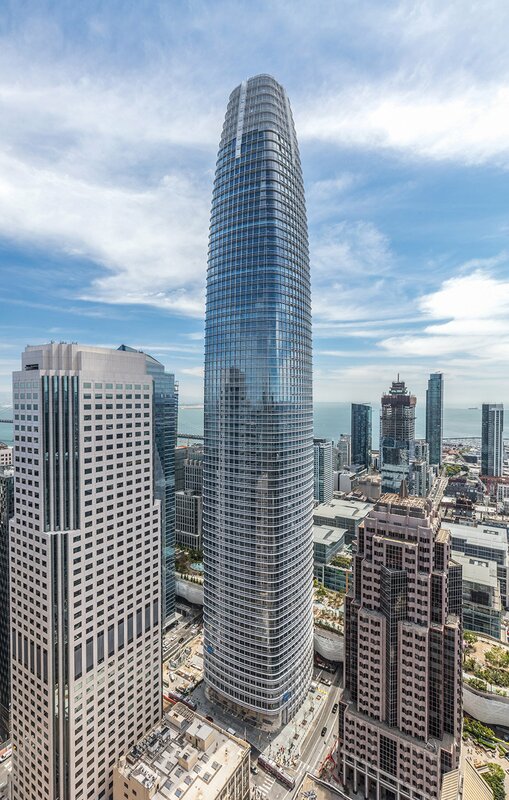 Pelli Clarke Pelli Architects’ Salesforce Tower has won the top prize at the Council on Tall Buildings and Urban Habitat‘s annual awards for high-rise structures, beating competition from BIG and David Chipperfield. 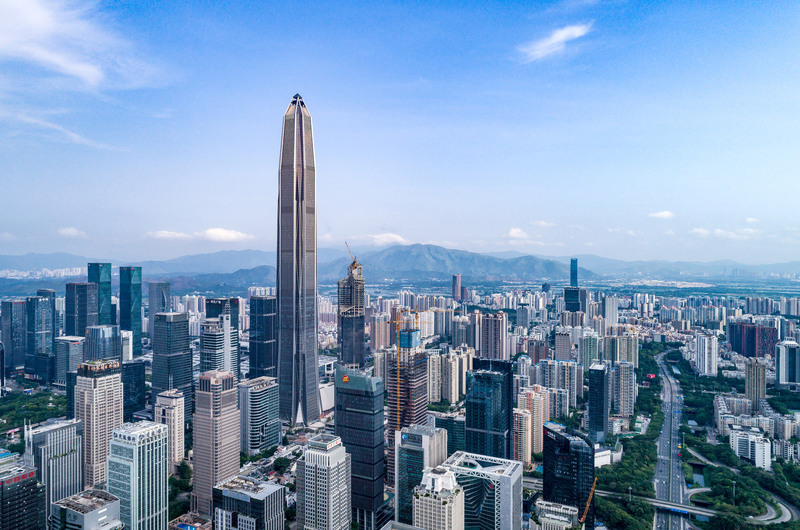 Tall buildings expert Council on Tall Buildings and Urban Habitat (CTBUH) gave the 1,070-feet-high (326-metre-high) tower “Best Tall Building Worldwide” in its 2019 architecture awards. Salesforce Tower was selected ahead of a number of high-profile projects nominated across the programme categories to receive the highest accolade. The 61-storey Salesforce Tower – and San Francisco‘s tallest structure – forms the headquarters of cloud computing company Salesforce, and connects to the city’s new transport hub, and a 5.4-acre park on its roof. The winners were revealed during CTBUH’s Tall + Urban Innovation Conference held in Shenzhen, China earlier this week. Twenty projects were awarded in total, representing 20 countries and 33 cities, across categories including best tall office building, best tall residential or hotel building and best tall mixed-use building. 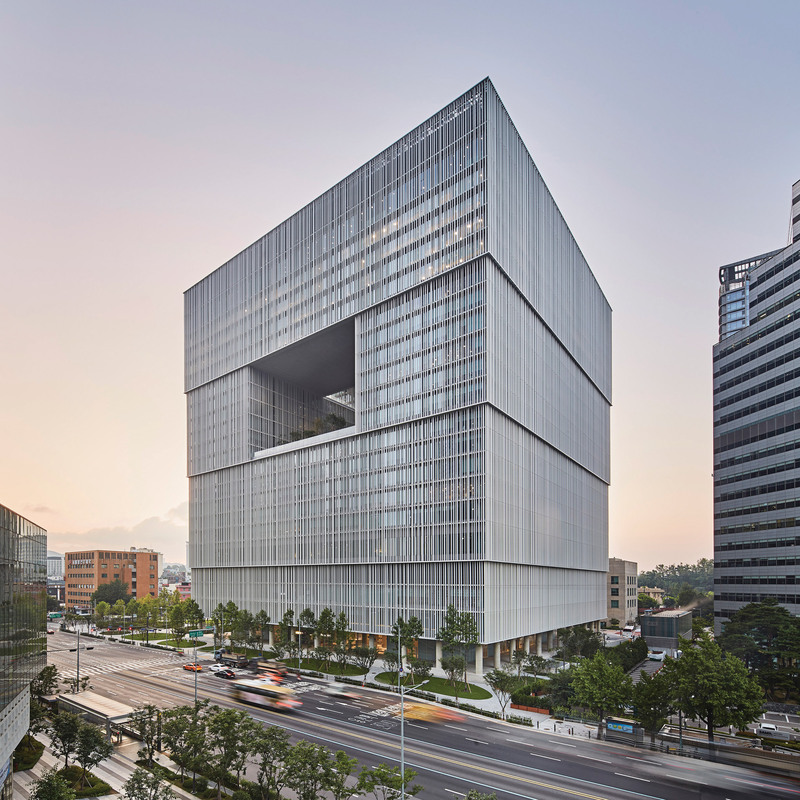 BIG’s Shenzhen Energy Headquarters, KPF’s Ping An Finance Center and David Chipperfield’s The Amorepacific Headquarters in Seoul – which was named best “tall building” in Dezeen’s 2018 awards – were among other category winners. 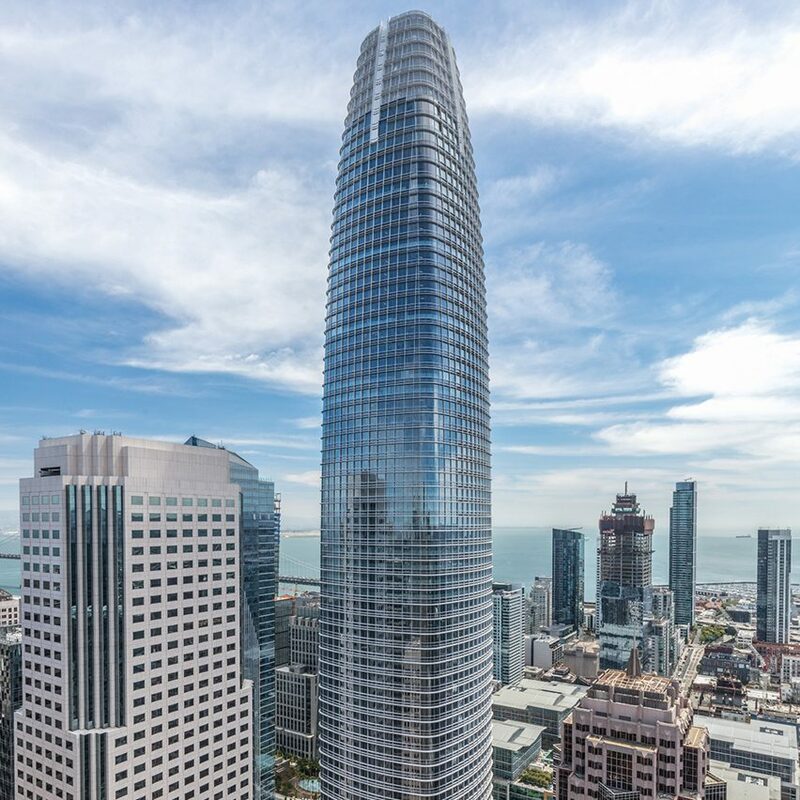 Salesforce Tower’s accolade comes in spite of controversies surrounding the building since its completion in 2018, including criticisms of its construction and its vastness. It was also forced to close September last year after a beam cracked. However the CTBUH jury chair Karl Fender, who is founding partner of Fender Katsalidis Architects, described it a “building that gives back”. Fender joined a panel of experts who reviewed the projects at the 2019 awards – the 17th edition of CTBUH’s annual event. 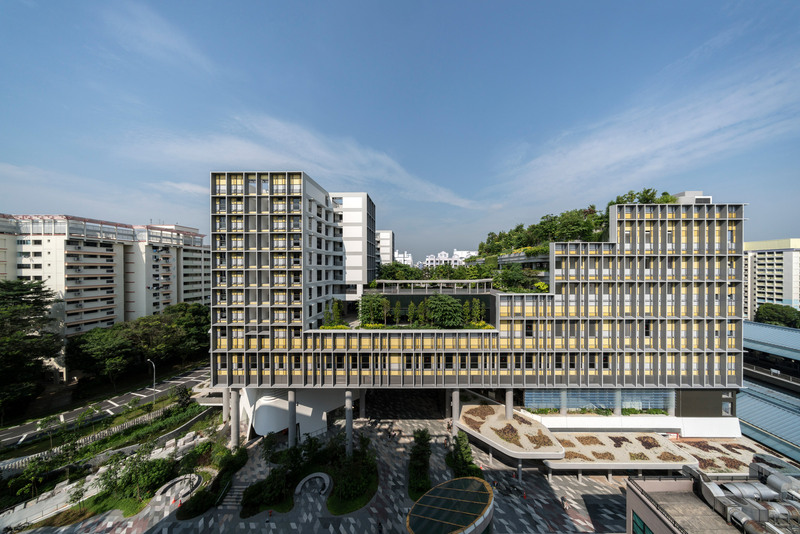 Other winners were 277 Fifth Avenue by Rafael Viñoly in New York City, which won best tall residential or hotel building, and Singapore’s Kampung Admiralty by WOHA for best tall mixed-use project. Kampung Admiralty was also recognised in the category of urban habitats, along with Central Park in Sydney. Singapore’s Pinnacle@Duxton was granted CTBUH’s 10 Year Award. It was built by Arc Studio and featured in an interview with Colin Seah. Founded in 1969, CTBUH is a not-for-profit organisation focused on the design, construction, and operation of tall buildings around the world. It is headquartered in Chicago and operates offices at the Illinois Institute of Technology, Tongji University in Shanghai and Iuav University in Venice. Now in its 17th edition, CTBUH’s award programme first started in 2002, and the number of categories has increased significantly over the years. Last year, Singapore’s Oasia Downtown Hotel by WOHA was awarded CTBUH’s Best Tall Building prize. No event was held in 2017 but in 2016, the award went to Shanghai Tower by Gensler. Five different engineering categories were also included in this year’s awards programme. Prizes went to Tel Aviv’s Azrieli Sarona Tower by Moshe Tzur Architects and Town Planners, the Morpheus hotel in Macau by ZHA, Nairobi’s Britam Tower by Chris Kroese, and San Francisco’s 181 Fremont designed by Heller Manus Architects. The post CTBUH names San Francisco’s Salesforce Tower world’s “best tall building” appeared first on Dezeen.